He also hoped that the brothers Tom and Sam would play together for England someday. Sam Curran emerged the best player for England in the recently concluded first Test against India in Birmingham. He rattled the top order of the visitors in the first innings with 4 wickets and then bailed his team out of trouble with the bat when they were reeling at 87/7. His 63-run knock stretched helped England set the target of 194 which proved just enough to win the game. Looking at his brilliance, his Surrey teammate and the legendary Sri Lankan Kumar Sangakkara has showered praises on the 20-year-old cricketer. He recalled the way he used to take the responsibility for Surrey with the new ball across all the formats and tipped him to excel under pressure in future as well. No wonder, England has found a gem of a cricketer who is so young and it will be up to them now to handle him properly. “He is a guy who can bat really well. He has been so impressive for Surrey. He has shouldered the burden of the opening bowler across all format. The kind of character he has shown isn’t just the testament to the hard work he is putting but also to county cricket system. In three years, he has become a player who can go out and perform under pressure,” Sangakkara was quoted as saying by Sky Sports after the match. Tom Curran has also made his debut for his country albeit in the shortest format. 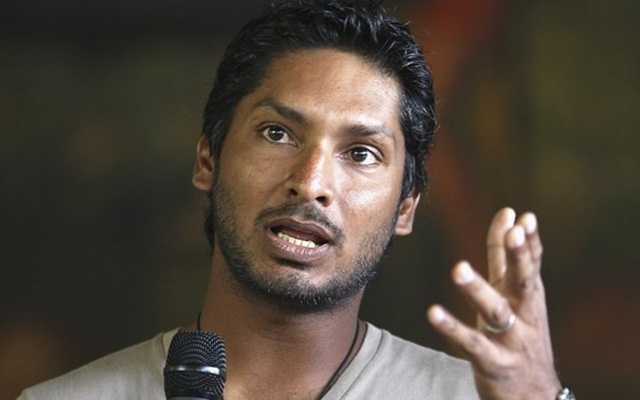 However, Kumar Sangakkara was hopeful of the brothers playing together for England soon. He put forth their attitude as their biggest strength and felt that ECB should take care of both if they are to serve them for a long time. “There would be a lot of proud boys sitting in that Surrey dressing room watching him (Sam Curran) that he is a special player whom you need to handle with care. You need to make sure that he has a long career for England,” the 40-year-old added.